Make a long-term investment in the community! Please help Habitat for Humanity- LaSalle, Bureau & Putnam Counties build affordable homes for low-income families by making a tax-deductible donation. Donations can be made in a number of ways. Give a gift in honor of someone's birthday, graduation, bar mitzvah, or any other occasion! We will send them a card noting the gift you made in honor of them. Give a gift in someone's memory. We will notify the family or friends of your donation in their memory. Please contact Habitat for Humanity- LaSalle, Bureau & Putnam Counties, 815-434-2041 or email us for more information. Wondering what to do with your old printer, fax, and copier cartridges? Donate them to Habitat for Humanity- LaSalle, Bureau & Putnam Counties! If possible, please put the empty cartridge in its original container. We will take cartridges and redeem them for cash. 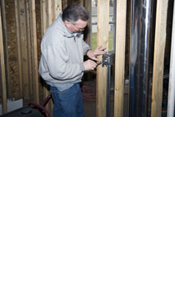 It is a great way to help us build more houses and be more environmentally conscious. Please call 815-434-2041 for more information or drop them at our office in the Central Life Building!